After the actors and actresses that have been placed on each personal Mt Rushmore as All Time Favorites (see Episode 219 for Actors and Episode 227 for Actresses), its only fitting that Directors get their due. And of course, what better way to do it than to bring in Terrance Malick Apologist and Film Historian the Honorable Former Deacon Dr Earl. Up first, a fast paced edition of Denzel, with someone forgetting the names of the Hobbit movies, someone else forgetting the arthouse award winning film Alicia Vikander was in, and what exactly was the name of the guy who played Freddy Kruger?? Then over to picking the all time best directors ever, based on love of movies, love of directing style, based on the films in the host's favorite movies and Top 100 films of all time... you'll hear various stories of why certain films are liked and disliked, and who barely made the cut. Names like Spielberg! Russell! Tarantino! Altman! Whit Stillman... wait, who? 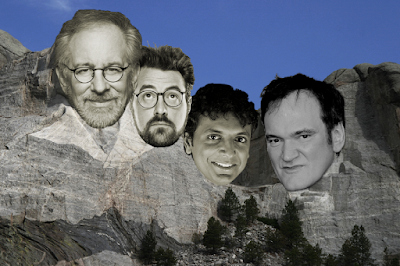 And where does Dr Earl place Malick upon Rushmore... or does he place him at all....?? Plus, a close look at the career of director Andy Tennant, director of "It Takes Two" with Mary-Kate & Ashley Olsen.